Stop tracking warranty expiration dates manually. It's free. 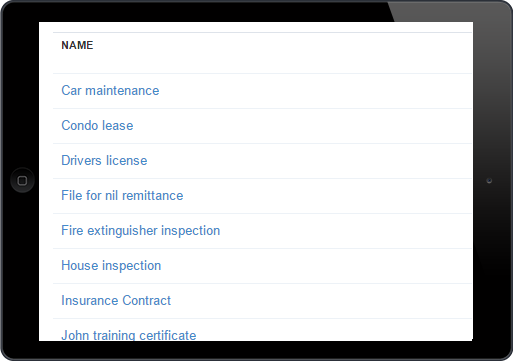 The easiest way to track and remind your employees and customers. Save tons of time and avoids past due renewals. It's free for 14 days. No more Excel sheets and PDF documents floating around. One repository to manage all expiration dates. 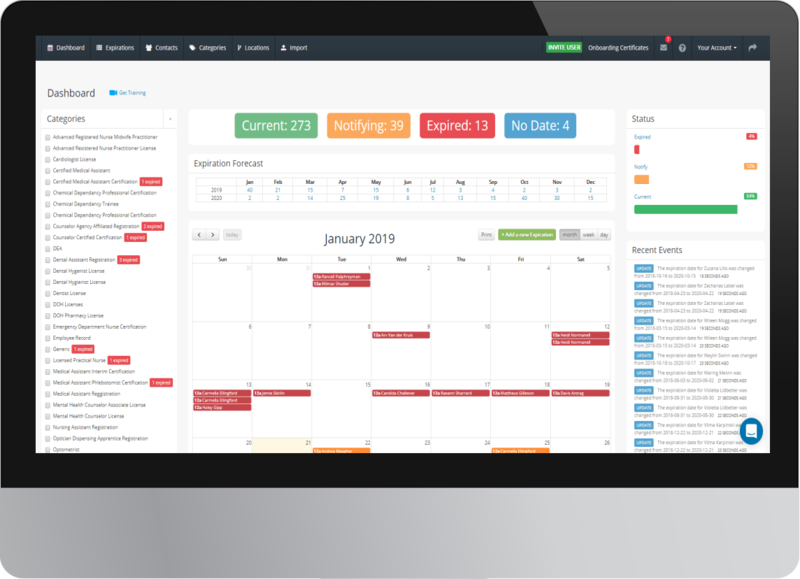 Expiration and Renewal Tracking Software. Reinvented. Most businesses spend an average of 16 hours per week or more between tracking expiration dates using programs like Excel (or even worse— a pencil and paper) and contacting the right people to notify them about an upcoming renewal. 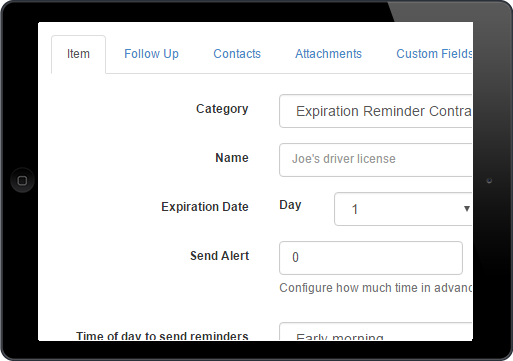 Expiration and renewal tracking software can help you track these dates and do the notifications for you in 15 minutes. Expiration Reminder is an expiration date management app that does more than just save you time on tracking. It also helps you improve communication, keep everyone on the same page, and grow your business.